Quickspin announces new CPO - Erik Gullstrand worked his way up there! There’s no doubt about it, it’s been an exciting start to a new year for the online casino market in Europe. With that said, we’ve seen so many company shakeups that it’s sometimes hard to keep up with. However, we always find a way to highlight the biggest announcements in the industry and keep you up-to-date with all the changes taking place. So without further ado, we’d like to introduce the new CPO at Quickspin. He’s expected to make a huge difference for the company going forward. So let’s check out his career and reveal Quickspin’s game plan for 2019. 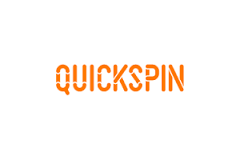 As we mentioned above, the online slots studio, Quickspin is making some big management changes within its ranks. According to the company, former CPO Joachim Timmermans announced his departure and Erik Gullstrand will now take his position. According to Quickspin, Erik will take control of product planning and development. Not to mention, he’ll be responsible for developing new promotional tools that’ll help the company’s current expansion plans. To sum up, Erik has been with the company since 2012 and has held several positions at Quickspin. As of now, he’s been the company’s Head of Account Management, Development, and VP of Business Development. So by all means, Erik has worked his way up through the ranks and earned this promotion through talent and dedication.